We have been clear about our views on property cycles for many years. 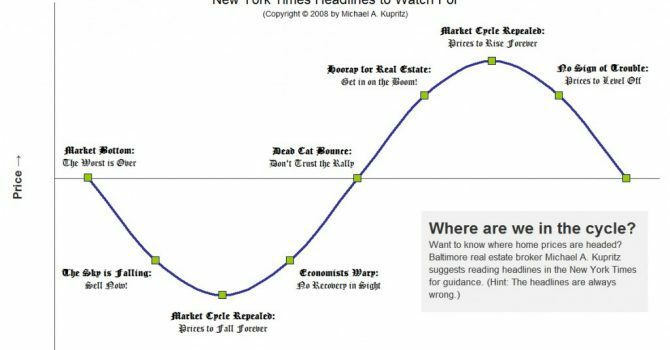 That is why we said when many were saying the crash would run and run, that we took a contrarian view and said the market would rise and rise quickly, then experience a mid-cycle slow down and return to a rapid increase in prices. Our ‘mid-cycle’ was called in 2015 as the Macro-Prudential rules kicked in that they wouldn’t calm the market. We said any effect would be temporary at best and that price increases would return and lead us up and up into a crash in the mid 2020’s. This prediction has been one we made long before almost anybody else in the market and we see no reason to believe (for now) that it won’t happen. The frustration now is about what to do in light of this, for people who want to rent you need to nail down rental contracts – even though more than half the country has rent control because it is going (meant to) end in 2019. For those looking to buy getting a home at the right price, with a good rate and paying down debt quickly is the best choice. Inertia is the worst choice.